What’s the most fun way to learn English? If you’re tired of going to class or reading a book, there’s nothing better than learning English through movies and film. Is Learning English Through Movies and Film Right For Me? Learning a foreign language is already hard. And the culture is different from your own. So sometimes, you might have trouble understanding what actors are saying, or what they’re doing on the screen. So today, I want to share a few tips with you on learning English with movies. They’ll help you learn helpful new words and phrases, but also enjoy watching movies at the same time. Perhaps you’re still wondering if you can still really learn any English by watching movies. After all, watching movies is supposed to be fun, right? So, how can you learn while having so much fun with the film? And more importantly, why should you learn English with movies instead of with textbooks? Here are three reasons I believe it works, and why I recommend learning the language this way. 1. You’ll get to learn real English…not textbook English. The English you learn through textbooks or in ESL class is not what you’ll hear people say. For example, in beginner English classes, you might have learnt how to say “it’s a quarter to seven” or “it’s raining cats and dogs”. While these are correct, we almost never say these in real life. In contrast, the English spoken in movies is very natural. It’s also very close to what you’ll hear if you speak with native English speakers too. This will help improve your spoken English. 2. You learn English words in context. This is one of my favourite aspects of watching movies. Let’s say that you like watching crime films (these are great!). After watching ten or twenty movies, you’ll start to learn vocabulary related to the context, or subject, of crime. Usually, when we learn words traditionally (e.g. in school), we study things like vocabulary lists. The problem with learning new words with vocabulary lists is that you can learn what words mean, but not where and how they are used. For example, let’s say you learn the new word “detective”. From the dictionary, you’ll know what that it means “a person who investigates crimes”. But unless you use it, it can be easy to forget. It also doesn’t give you an idea where the word is used most frequently, and how it is used. On the other hand, if you learn the word “detective” through watching crime films, you’ll know “detective” can mean many things. For example, it can be a title in front of a person (e.g. “Detective Beckett”). Or maybe it’s the noun referring to the job (e.g. he’s a detective). And maybe you’ll even hear things that will let you form opinions about the word (e.g. “you lousy detectives”). This way, you won’t only learn what each word means, you will also know how it’s used. You will never be able to do that through textbooks. 3. You hear how things are said. In English, people often say that 30% of what we say is expressed through our words. So what about the other 70%? Well, the other 70% is all about how you say it. You know, things like your expressions (like a smile, a frown) and your tone of voice (like when you sound angry, or when you sound sad). As you can guess, the how is usually more important than the what to English people. I’m sure that one of the first phrases you wanted to learn in English was “I love you”. But did you imagine that depending how you say it out loud, it can be very different? “I…LOVE…YOU” – this might be a person saying “I love you” in a very loud voice…while trying to really confess their love! “I LOVE YOU! !” – the person might be saying “I love you”…while they’re really angry! As you can see – if you try to learn this by reading – you might have been confused. Even though the four phrases are written differently, they use the exact same words. But if you hear these phrases out loud, they will make perfect sense to you! Knowing what someone is saying is important. But knowing how they are saying it is even more important. We call understanding the “how” the nuances of the English language. Through observing actors in films, not only will you be able to learn new words, you will be able to understand how they are said. The characters might be sad, happy, surprised, angry. And you’ll understand this immediately. 1. Choose an interesting movie. This probably sounds obvious, but if you choose a boring movie, you’ll be bored. And if you’re bored, it will be difficult to pay attention…for more than one and a half hours! I remember when I was a child, I had to watch hours and hours of really old movies like “Singing in the Rain”, “Mary Poppins” to learn English. If you don’t know these films – you’re welcome to check them up – they’re really old! I didn’t exactly hate them, but I didn’t feel excited at all when watching these films. And because of that, I highly recommend you choose movies you like. To do this, you can go to a website called Rotten Tomatoes, which is a website with many great critics and reviews on many tens of thousands of movies. 2. Select a movie that matches your current English level. For example, for beginners in English, I usually recommend you learn English through animations. The main reason is because the English is usually very friendly, nice and easy to understand. On the other hand, if you try to watch something like “Romeo and Juliet”, you will be very confused. Shakespearian English (which is English used many centuries ago) is very difficult to understand on screen, even for advanced English learners. 3. Bring your dictionary. Maybe I’ll add point 3.5 too – choose a film with subtitles! So when you hear a word you’re interested in, check it up! Because you went through the trouble to understand it…you’ll be able to remember that word for a long time too! 4. Repeat short phrases! Some times, you might hear something cool in the movie. For example, some short phrases, or slang like, “hell yeah!”, or “sure thing”, or “you betcha!” that are commonly used in English. If you like how it sounds, it really helps to repeat it! After saying it out loud a while, you will be able to remember it for a longer time! It’s a great and enjoyable exercise – one of my personal favourites. 5. Without subtitles. I know it can be really challenging to watch a film in a foreign language without subtitles. So here’s my recommendation. When you watch a film the first time, just turn on subtitles. But if you get the chance to watch it a second time, try turning off subtitles. This way, you already know the story from the first time you watched it. And this time, you can try listening to some individual words that you might have checked up last time. Or you might try to see how much you can understand the film without subtitles. Here’s what I do – if you download a movie online, and you play it, you know how you don’t understand English sometimes? VLC Player allows you to play back movies at half speed or quarter speed. So if there are parts you don’t understand, you can play these back at a slower speed and try again! It’s very helpful to practice your listening. 7. It’s okay to miss words…just let it go. Last of all, remember what we said in the start? Watching movies should be fun…so if you miss a word, a phrase, or even many sentences, that’s okay! Just follow along the subtitles and learn that way. Don’t make yourself feel bad…watching films is supposed to be fun! 1. There are no subtitles. This is pretty rare nowadays. But if you watch a film without subtitles, it can be difficult to understand what’s going on. 3. You have to keep on checking up words. For every word you don’t know, you might want to look it up in the dictionary. While it’s a lot faster to check up words nowadays on our phones, it can be annoying to keep pausing and checking up words. 4. You can’t remember these words afterwards. It can be difficult to keep track of what you’ve learnt, because it takes time and effort to take notes, and we want to have an enjoyable experience in watching the movie, without having to be interrupted every minute to write down a word! 5. You don’t know if you remember these words after. After a week, or a month, or even three months, you might forget what you’ve learnt! And because you didn’t jot down notes, you can’t really test yourself either. 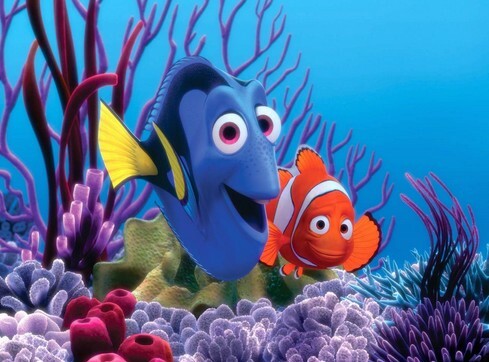 Finding Nemo is an animated film about a clownfish called Marlin who loses his son Nemo. On the way, he meets another fish called Dory. Together, they set out on an amazing adventure to find Nemo across the huge ocean! I don’t want to reveal any spoilers, but it’s a great film to watch for all audiences – one of the best animated films of all time! The Terminator series is a story about a war between artificially intelligent (AI) machines and humans that is going on in the future. When the humans start to win the war, these AI machines send killer machines back to the past. 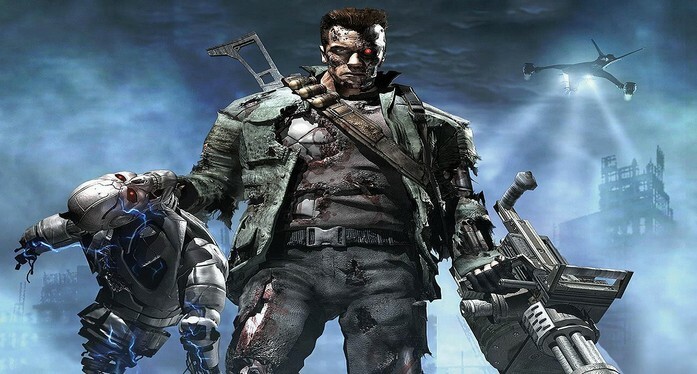 Their goal is to try and kill the leader of the human resistance, John Connor and his family. A thrilling science fiction film that’s truly one of a kind in this genre. Titanic is one of the most celebrated films in the entire history of filmmaking. 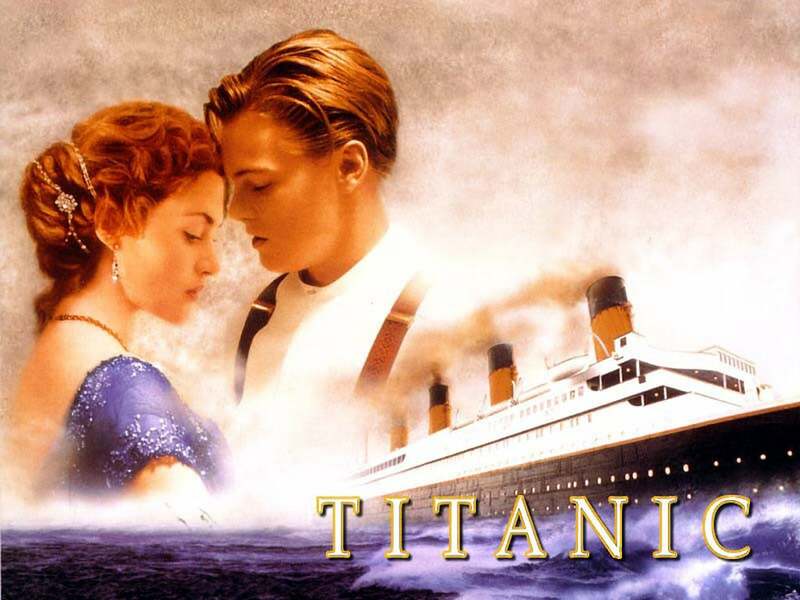 Based on a real life story, it retells a love story between Rose DeWitt Bukater (the daughter of a wealthy family) and Jack Dawson (a poor artist who sneaks onto the ship). It also has some very exciting scenes showing the events on board the RMS Titanic before it sank (one of the grandest passenger liners at that time). Titanic is also home to the famous song “My Heart Will Go On” by Céline Dion, which you might have heard of. A great all time classic, and a masterpiece of great technical complexity! 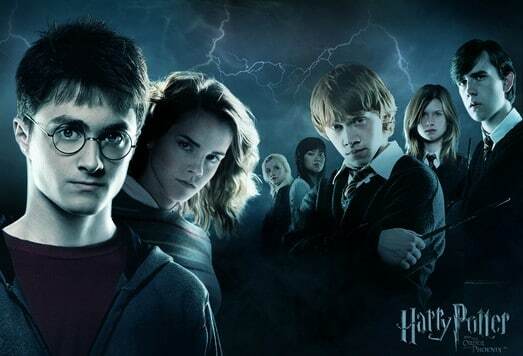 If you like magic, Harry Potter will take you through the mysteries of Hogwarts and the wizarding world. It is a seven part book (and eight part film) series about the battle between the good and the bad wizards. The story is centered around the main characters Harry Potter and Lord Voldemort. After you watch this, magic will never be the same again. Star Wars is another epic film series, but it’s rather strange – the series wasn’t filmed in order. If you want to watch it from the start to end, it’s best to watch them in this order: 4, 5, 1, 2, 3, 6. Set in the Star Wars universe, this story follows the end of a long battle between two opposite forces of the universe – the Jedi Order and the Sith Lords. In the Star Wars series, it is believed that there is a “Force” that holds together the universe. While the Jedi Order believe in compassion and kindness in using this “Force”, the Sith Lords believe in using the Force through hate, anger, jealousy and other negative feelings. In this thousand-year battle between these two sides, the Jedi knights and the Sith Lords clash in a thrilling sequence throughout the six movies. 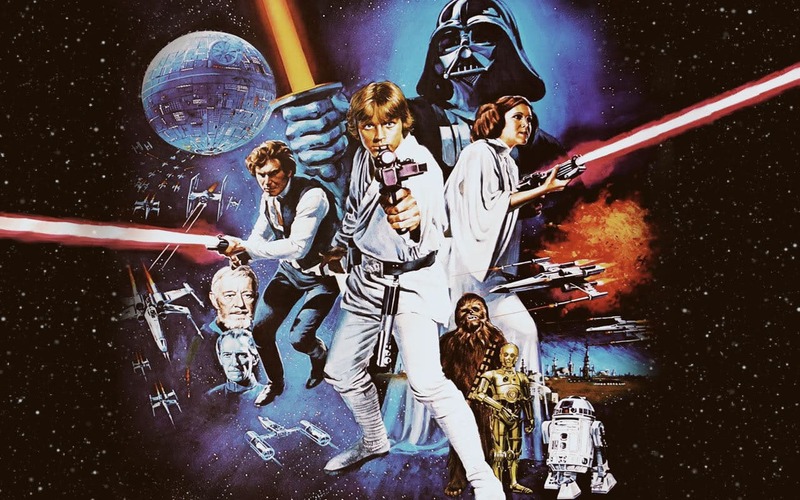 There are no other movies like Star Wars…definitely worth checking out! 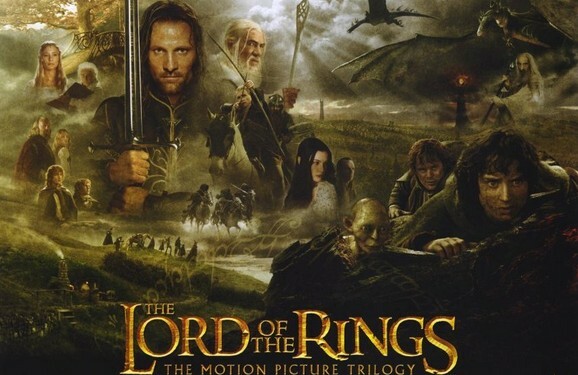 Lord of the Rings is another one of the greatest film series in the magic category. Set in the lands of the Middle Earth, there are three primary races – dwarves, humans, elves as well as other races such as Hobbits, orcs and werewolves. The series follows the dark plot of a rebellion led by Sauron, the most evil being across all lands at that time. To oppose this evil, a small group of fighters take on a brave mission – to destroy a ring that is said to hold the powers of Sauron himself, which would mean the fall of Sauron with its destruction. Pirates of the Caribbean is a film series about pirates. 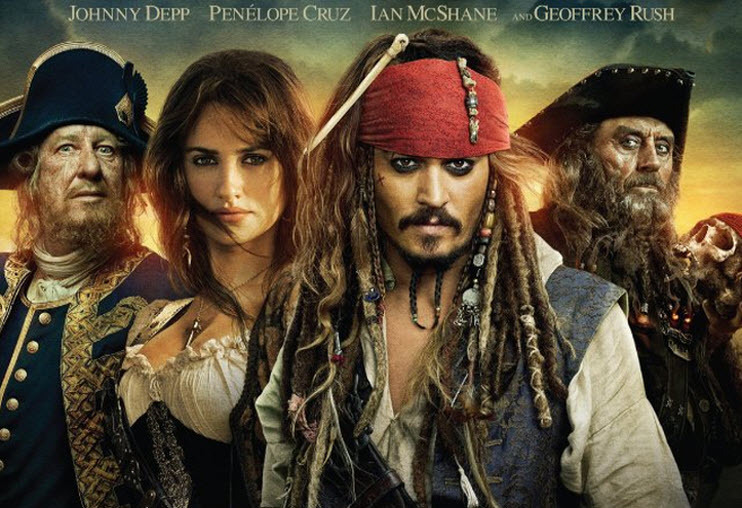 Each film follows the adventures of Jack Sparrow, captain of the Black Pearl (the name of Jack’s ship), and it starts off in the first film following Jack’s attempts to get his ship back, which was stolen from him. In the next films, Jack goes on to find the Dead Man’s Chest, which contains the heart of Captain Davy Jones, someone he owes a favour to. Finally, Jack is forced to looks for the Fountain of Youth, which is a magical fountain which promises the drinker eternal youth. Never has there been a film where you can have so much fun with pirates. And here we have it, our top seven film recommendations! These are some of the most celebrated films in the history of film, so I hope you enjoy watching them! Improve Your Speaking Skills in Just 15 Minutes.!!!! Common Interview Question: Tell me about yourself.